When it comes to the best quality in trailer hitches and towing products, most people think Andersen Hitches. Here at Andersen, we've been selling quality, American-made products for over 50 years. Our family-owned, US-based company is headquartered in Idaho Falls, Idaho, USA. Since our founding, we have grown from a single room shop into a 102,000 square foot manufacturing and fabrication complex. Andersen Hitches currently serves the towing industry with a complete line of popular trailer hitches and unique towing products for trailers and 5th wheels. 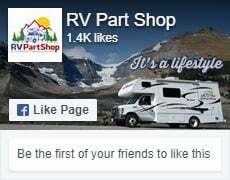 We are proud of our simple, unmatched engineering designs, quality trailer hitch products, and friendly customer service. Our company started with John Andersen at the helm, and now his son, Ryan, has taken over that duty. Under their leadership, Andersen Hitches has created and introduced many "firsts" to the trailer hitches and towing industry. As exciting as creating new products is, though, quality and service are just as meaningful to us. That's why quality, durability, and safety have always been, and will continue to be, built into every product we make. As a family-owned company we are careful to assure that every product we produce has quality built in and back that up with top-notch customer service. At Andersen, our pledge to you is: "You take care of the fun, we'll take care of the towing."